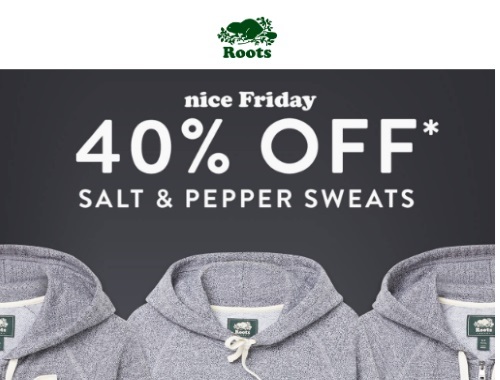 Roots is offering 40% off their Salt & Pepper Sweats today for Black Friday! Not interested in that? They also have 30% off their entire store! Click here to browse Roots.